Nothing boosts productivity more than a healthy obsession. A healthy obsession can be a liberating and clarifying catalyst to your true calling and career direction—especially for people in the mid-life zone. With maturity comes renewed confidence and determination to pursue, and write about, the things they are truly passionate about. Passion, some say, can be difficult to find, but if you’re awake it will find you. Stay open-hearted and open-minded. Don’t be like so many adults who fail to discover it all together, and in the absence of any encouragement, give up. Donaldson’s passion for his subject has won him international acclaim from Academy Award-winning actor Anthony Hopkins. “I thought it was a terrific movie. It is a unique script…it is just so well written, very well written, beautifully written, and so refreshing. I’ve worked with a lot of great directors, Steven Spielberg and Oliver Stone, and Roger Donaldson is there with that lot, you know. He really is,” Hopkins said. I collect positivity and articles and stories related to people’s extraordinary passions. My collections have inspired many of my self-empowerment books. 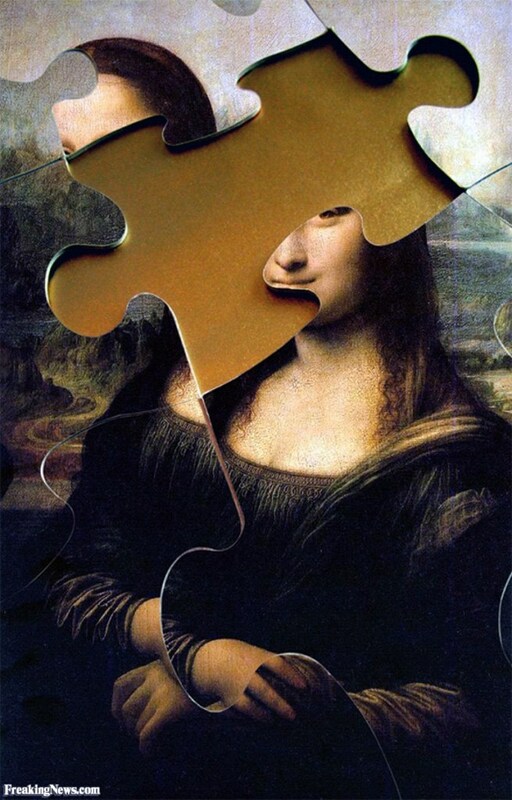 It’s true, I am obsessed and enthralled with my research for my historical novel Mona Lisa’s Secret and with telling her story. Follow my obsession and sign up to my newsletter and be the first to know when this story will be published—http://eepurl.com/bEArfT. Sign up now and receive a welcome gift—your free ‘Find your Passion’ E-book. What do you collect? List all your obsessions and the things that interest you deeply. How can your passions fuel obsessive productivity? If you’re struggling to identify your obsessions, you’ll find some handy prompts and true stories in my book Find Your Passion and Purpose: Four Easy Steps to Discover A Job You Want And Live the Life You Love. You’ll also find inspiration, including true transformational change stories by people like you in my Mid-Life Career Rescue series. Do less and earn more today! Although this book was written for writers, the principles and strategies can be embraced by business entrepreneurs, solopreneurs, actors, dancers, painters, photographers, filmmakers, and thousands of others around the world who want to enhance their productivity, do less and make more. Many people dream of writing a book or making a living from their writing but say that lack of spare cash is holding them back. They prevent themselves from choosing what they want to do because they fear there won’t be the necessary money or support to allow it. But money doesn’t have to be an obstacle to seeking more fulfilling work. Financing a career change, despite all the obstacles in your way, involves a conscious commitment to move forward, and a willingness to think laterally and pragmatically about a range of financial options. There are many different ways to finance a career change including: consolidating debt, future-gazing and demand creation, career combo-ing, seeking investors, using equity, reducing outgoings, generating extra cash flow, and applying for funding. Rewrite your goals. List all the benefits making a change will bring. These may include better health, more money in the longer term or improved relationships with loved ones. Assess your current situation. Get an accurate picture of all your outgoings and expenses. Consolidate debt. Seek financial advice if necessary. Get a reality check on your future plans. Is there a current or future demand for your writing? Could you create one? What is the true cost of making a change? Isolate costs against benefits: cash in against cash out. How much money do you really need to spend and create? Earn more. Think laterally to create cash flow. A job doesn’t have to be a full-time thing. Can you finance your career by doing a career-combo, working in a variety of different ways or for several employers? As you’ve read, many people work at several jobs to earn extra cash. Generate extra cash flow by increasing the money you earn. Some possible strategies include: negotiating a pay rise in your current position; taking on a new higher-paying role; or turning a hobby into cash flow. New Zealand based, USA Today bestselling historical romance author Bronwen Evans, for example, took on a high-paying, high-pressure, one-year communications contract to allow her to take a year off so she could pursue her dream of becoming a full-time novelist. Seek investors. Use other people’s money to create the momentum you need. Remember there’s good borrowing—borrowing to increase wealth, and bad borrowing—borrowing so you can consume more. Most people spend all their spare income on non-asset-producing consumption. Banks, family members and friends are all possible sources of investment income. 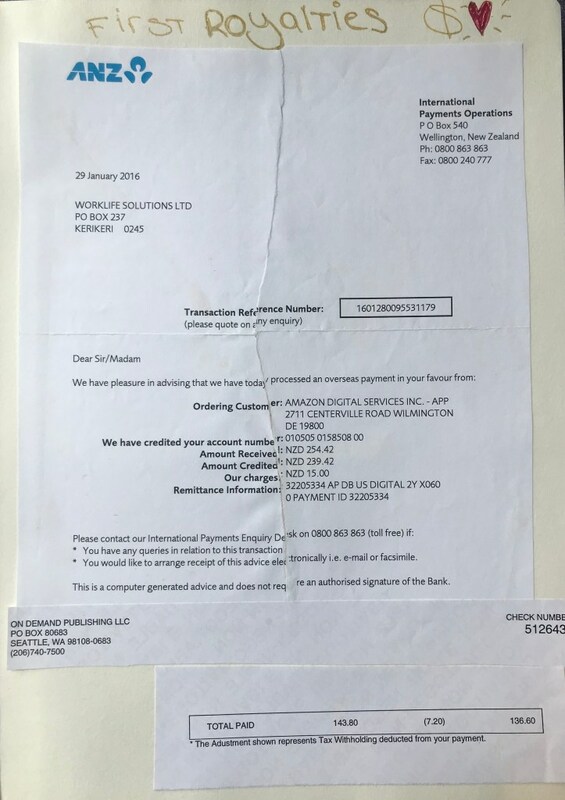 Sam Morgan, who established the on-line trading company TradeMe, convinced his dad to back him, and earned millions of dollars in return. You may not pay back millions, but if your idea is sound, your investors can sleep at night knowing they will be repaid. Utilize equity. Burt Munro, whose story was made famous in the movie The World’s Fastest Indian, mortgaged his home. Could you use the equity in your own home to finance your career? If you don’t want to re-mortgage you could try asking for a mortgage holiday. Many banks allow 2–3 months of no mortgage payments. As fashion designer Calvin Klein once said, “I took the risk of putting my money on the line for the company.” Are you prepared to do the same thing? Share the load. Who else has a stake in your success? Perhaps they may be able to inject more cash into your joint cash flow or pitch in and share the family load. New Zealand romance author Leanna Morgan asked her husband to take on the day-to-day family commitments so she could focus on her writing. Today she’s a USA Today bestselling author who sells up to 300 books a day and has legions of fans in America. She’s also the CEO of her own publishing company. In just two years, Morgan has gone from an unknown writer to one who earns over $200,000 a year, allowing the mother-of-two to give up her job as a Libraries and Arts Manager to concentrate on her writing. She recently shared with me that her goal is to make a million dollars, and more, from her writing. “If anyone had told me two years ago that I’d be able to resign from a job I loved to become a full-time writer and publisher, I would have smiled and thought they were slightly crazy. But believe it or not, that’s what happened,” she told journalist Anna Kenna. “Her success has not been without sacrifice, including little sleep and less time with husband Tim and her two children, aged 12 and 17,” Kenna writes in her article. So she could devote herself to writing, Leanna’s husband Tim shared more of their responsibilities. Sharing the load, hard word and commitment have yielded success beyond her and her family’s dreams. “It’s taken away the financial stress, allowed us to take a nice holiday and to look forward to a future we never considered possible,” she says. Reduce outgoings. Review your current commitments and expenditure. Proactively look around to make sure you are getting the best deal possible on your insurance, mobile phone plans, mortgages and other regular financial commitments. Take note of your savings and squirrel the extra money away for a rainy day. John shopped around for a better deal on his household insurance and saved himself over $600 annually in premiums. He also negotiated an installment plan with creditors so that he could increase his credit debt repayments, saving over $5,400 in interest charges annually. Get funded. Many people and organizations offer sponsorship and various forms of funding to help people pursue their dreams. Without the help of a grant from Creative New Zealand, author Lloyd Jones may never have written Mr Pip—the same book for which he won the prestigious and lucrative Man Booker Prize. The book was later made into a film. Check out crowdfunding as an option, as Heather Morris initially shared in the chapter Knock The Bugger Off. Her attempts to finance her film script lead to a multi-national publishing deal. Like many business people, Kevin knew early on, that having a variety of income streams would help him manage cash-flow. It is a common and successful strategy used by many business people, especially those working creatively. Ruth Pretty, for example, is a chef, newspaper columnist, cookbook writer, wedding venue provider, caterer and cooking school tutor. The common theme? Her pursuits all center around her passion for food. Amongst other things, photographer Carla Coulson is a portrait photographer, magazine photojournalist, tutor, and travel photographer. At the time of writing, she has retrained as a life coach and now offers creativity coaching and wellness workshops. Italian designer Giorgio Armani has a flourishing clothing empire, a swag of luxury hotels, a music production company, and an interior design business. And these are just a few of his multi-billion-dollar revenue lines. I am a self-empowerment author, coach, holistic psychologist, romance writer, brand manager, and novelist of art-related historical fiction. I also write marketing materials (blogs, newsletters, website content etc.) for small businesses, and train people to become certified life and career coaches. As my writing income grows I’m making a conscious decision to spend less time in some of these areas and more in others. You may wish to focus on one income stream, but if this doesn’t work for you, consider diversifying. This will help you ride any fluctuating financial currents. Remind yourself that money is not a measure of your true worth. Clarify what’s important to you. As Richard Branson said, “I don’t work for money, that’s too shallow a goal.” Lucky for him his passion for having fun has netted him millions—as it has for James Patterson and other prosperous authors. This really spoke to me and was one of the primary reasons I chose to scale back my successful international consultancy. Time is more valuable to me than money. I can always find ways to get more money, but it is impossible to find more than 24 hours in any one day. Be careful what you chase. Is it more money, or a better quality of life? With planning, it just may be possible to do both says Timothy Ferriss in his bestselling book, The 4-Hour Work Week. His central premise is to automate everything so you can live and work independently, free from a fixed location. If this is something that appeals to you I highly recommend picking up a copy of his book. 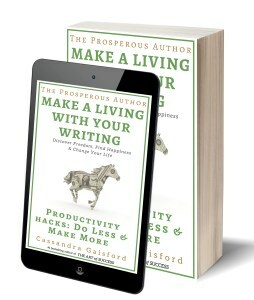 We’ll also dive deeper into simple but savvy productivity strategies in Book Two, of The Prosperity for Authors series, Productivity Hacks: Do Less & Make More. In this book, you’ll learn how to work less and produce more, including powerhouse productivity tools you can harness to help you finish what you start, create new books and take them to market so you can sell them faster. Brainstorm or list as many ways as possible that you could finance your career. Seek suggestions from others to widen the possibilities. Ask your way to success. Check out this interesting article http://tommorkes.com/the-complete-guide-to-crowdfunding-your-book/. Read a copy of my book Mid-Life Career Rescue: Employ Yourself and find out how one man financed his career and reclaimed his life. Book Marketing With Visual Content. 3 Ways To Stand Out From The Crowd With Images. 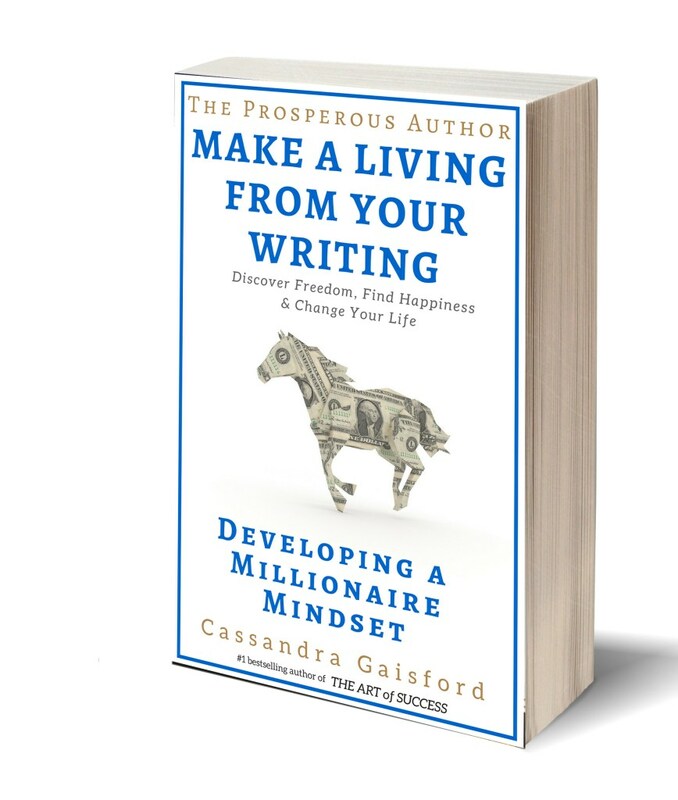 I’ve recently released a new book The Prosperous Author: Developing A Millionaire Mindset and I’ve been thinking about ways I can spread the word using visual content. I also want to know what content is most effective. I asked myself a couple of questions as I created these. Are the quotes 1.) inspiring 2). do they evoke emotion 3.) do the offer a promise or sense of the benefits readers will gain from reading The Prosperous Author: Developing A Millionaire Mindset? I know I still have work to do but I wanted to share my journey with you. Please email me or post your comments below. I would value your feebback. Taking this on board I created a template using my book cover as a guide. In Evernote and Word (as a backup) I created a note I could refer back to when I needed. And in Canva I created the above, taking care to be consistent with font and colors. I’m still defining my photography style. 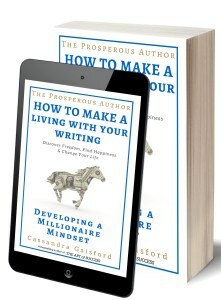 But I know that I’m after positive imagery that evokes and supports the key messages in The Prosperous Author: How to Make a Living With Your Writing (Developing A Millionaire Mindset). When selecting images one thing I am mindful of is my color palette? Whenever possible, I try to incorporate it into photographs for my graphics too. Blues and golds—and a splash of white. These echo the themes of creative freedom, inspiration, out-of-the-box-thinking and a millionaire mindset—key messages in my book. Canva recommends throwing in props that are the same color as my palette, backgrounds and tying in my own color to help create lovely details. Of course, there are loads more places to share. Facebook, Twitter, Instagram and more. At the same time, video and infographics have become powerful tools for authors looking to communicate more easily with readers. I surveyed some of my readers and here’s a few initial comments—it’s always good to get feedback. You can then decide where to from there. Follow your passion to prosperity. To purchase your copy and learn how to follow your passion to prosperity, click here to go to your online bookshop. This creates joy, and space in my mind, and enables me to approach the new day feeling inspired and focused—assuming I’ve also cleared my mind at the beginning of the day by meditating, completing my morning pages and walking in the morning too. Recently, while tackling a mammoth writing project, I talked myself into a bit of a funk. I knew that what I really needed was some positive reminders of my intentions. 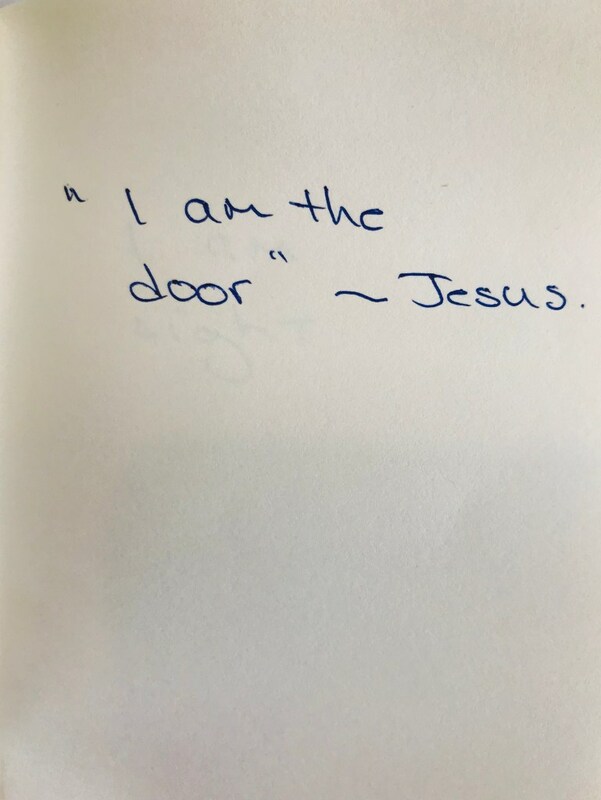 Instead of saying, “I quit”, and “I am so over this,” and retelling the story that allowed for failure, I went online and purchased a beautiful black sketchbook. Prior to this, I had noticed anxiety building—as it always does when I don’t have a special book in which to purge and reshape my thoughts. With my gold pen, I wrote some of the most empowering and encouraging quotes from other authors who have also struggled to maintain a prosperous mindset while writing an epic book. These words reminded me that I was picturing failure. I was telling myself messages of failure. I was feeling failure. Jesse Burton, the author of The Muse and The Miniaturist is very inspiring to me because she is so honest about her own battles with mental health—including anxiety. “In February I was publicly honest about how difficult it had been to handle, process and assimilate in real time some of the changes in my life. Namely, the strange and wondrous effects of The Miniaturist. I wrote about anxiety, my first tentative foray into putting that mental morass into words,” she wrote in one of her newsletters. As Jessie highlights blogging and sharing your thoughts with your fans is another form of cathartic journalling—as is writing a book like this. “You could have talked more about your personal experience so that other writers can more easily relate to you,” wrote an advance reader of this book. You’ll notice, in this chapter, and throughout this book that I’ve woven in more of my experiences, the highs and the lows, as a result. 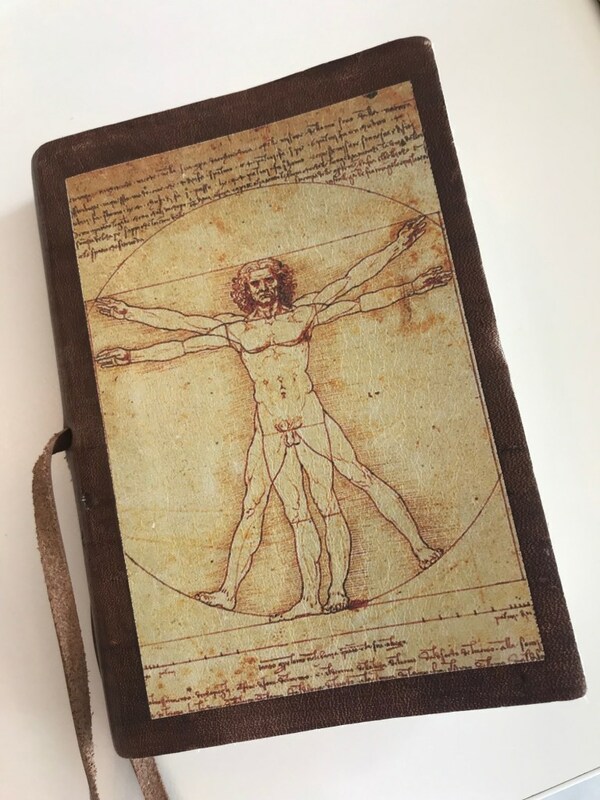 To boost your success mindset another form of journalling is writing Morning Pages, a strategy developed by Julia Cameron, author of The Artist’s Way. The writing is just a stream of consciousness, writing out whatever you are feeling—good (or what one of my clients calls the “sunnies”) or not so good (“the uglies”). “It’s a way of clearing the mind—a farewell to what has been and a hello to what will be,” Julia says. The point of this writing is to work with your subconscious and let it work its magic in the creative, healing process. I first met Heather Morris when she came to the Bay of Islands in New Zealand from her home in Melbourne to visit her brother, and my friend, who had been given a terminal diagnosis of cancer. As you can appreciate this was a very distressing time. Yet, as we discovered we all had a passion for telling stories, and as we shared our writing inspiration we all felt encouraged, emboldened and filled with light. And with this came renewed hope. Not just for her brother, who was inspired to crack on with his own writing projects, but I was also reminded of the finality of life. For a small moment in time, we all escaped our worldly concerns and became excited by Heather’s “overnight” (not!) success with the publication and resulting worldwide interest in her novel, The Tattooist of Auschwitz. The novel is based on the true story of Slovakian Jew Lale Sokolov, who was forced to tattoo the numbers on his fellow victims’ arms that would mark them for survival, and who used the infinitesimal freedom of movement his position gave him to exchange jewels and money taken from murdered Jews for food to keep others alive. As Heather said to me, The Tattooist of Auschwitz is also a remarkable love story. I met Lale Sokolov in December 2003. I was 50 years old and had been dabbling in learning and writing screenplays, he was 87-years-old and his wife, Gita, had died two months earlier. A friend of a friend of their son, Gary, asked me to meet Lale to hear the secret he’d kept for over fifty years and which he wanted to tell someone before he ‘hurried up and joined his beloved Gita’. Over the next three years our friendship grew as slowly his story was revealed to me piecemeal, often told at bullet pace with limited coherency and with no flow or connection to the many, many stories he told. It didn’t matter. I fell under his spell. Was it the delightful Eastern European accent? Was it the charm this old rascal had lived his life dispensing? Or, was it the twisted convoluted story I was starting to make sense of, the significance and importance of which was beginning to dawn on me. It was all of these things and more. I was spending time with ‘living history’ and was being given a story to tell for which I am honoured and privileged to have been entrusted with. Fast forward to 2017—14 years after my fateful meeting with Lale Sokolov. It took me two years to get the story I would eventually write into a screenplay. He got to read it and loved it. I sat with him and held his hand and said goodbye to him the night he died. At that time I vowed to never stop trying to tell his story. A film production company optioned the script from me for three years, then another two years but failed to ‘get it up’. I took the option back and after a rewrite started entering it in screenplay competitions around the world. It did well, often a finalist and won the International Independent Film Awards in 2016. I was receiving comments from film executives that the story ‘not only should be told, but must be told’; that it was ‘oscar bait’. But still no-one came forward to talk production. 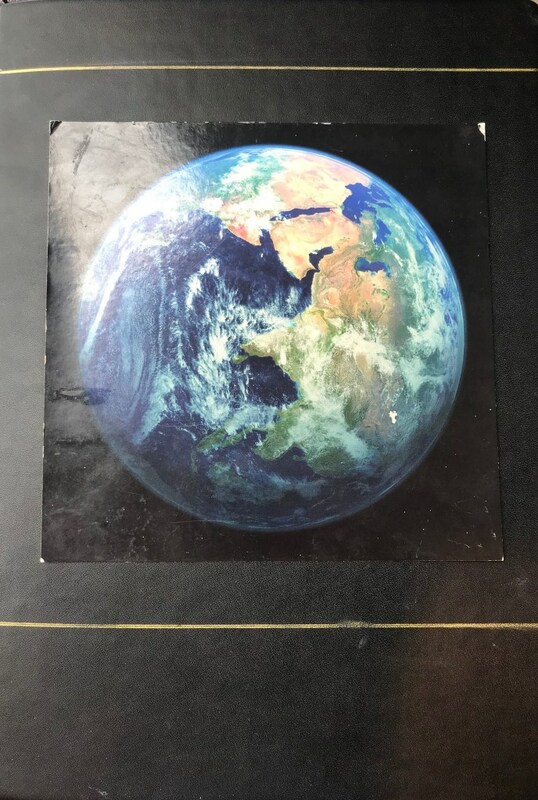 Then a light-bulb moment when I decided to write it as a novel, something I had no experience with and had never written or studied as a writing medium. On the advice of one of my sons to help with ‘free promotion’, I did a Kickstarter campaign to raise funds to self-publish. From this campaign a local publishing company in Melbourne approached me and signed me up. I attempted to write while working full-time in a large Melbourne hospital and being the accommodating grandmother to my son and his wife, my daughter and her husband and their three little ones. I’m lucky to have family living in San Diego, California who have a holiday house on the top of Big Bear Mountain. In the middle of their winter, in six feet of snow I squirreled myself away for four weeks and as Sir Edmund Hilary said ‘knocked the bugger off’. The parent company of my publisher came to Melbourne in February and heard about my story. The have now taken over the publishing, sold foreign language rights to 13 countries and done a deal with Harper Collins in the U.S. to publish there. And the screenplay? Stay tuned—some heavy hitters in Hollywood are vying for it. I am now 64-years-old and about to embark on a journey beyond my wildest dreams as I travel promoting the book and hopefully in 2-3 years time a film. Giving up on telling this story was never an option for me. Yes, months went by when I did nothing to further it as life got in the way. I tell myself it is The Tattooist’s time, I had to hang in there, seek out avenues to have the story heard and eventually one paid off. I don’t kid myself that I’m a great writer. I am privileged to have been given a great story to tell and I hope Lale and Gita would be proud of the job I’ve done telling their story. I have received the ultimate validation of my attempt from their son who doesn’t want a word changed. A lot of very talented people / editors both in Melbourne and London will produce a book which I am honoured to have my name on. My family keep telling me they wouldn’t be doing that if I hadn’t written it in the first place. I have two quotes on the wall near my desk, the one mentioned above by Sir Edmund and one from one of my favourite screenwriters William Goldman who references the children’s book ‘The little engine that could’. Harper Collins have come on board as the publisher in the U.S. and Canada, and major film companies are bidding for the movie rights. Stay tuned! Heather’s story is a powerful reminder not to give up on your dreams. Tenacity, perseverance, patience and the ability to adapt are big factors in her success—and many other attributes as well, including talent! She began with a film-script and then taught herself how to turn a script into a novel. She also taught herself to fund her dreams via the Internet—and opportunity then came knocking. Heather also proves what Napoleon Hill so famously wrote in his classic book Think and Grow Rich, most people don’t achieve their success until their sixties and beyond. Later, more good news came too—her brother’s cancer has taken a u-turn. The medication he is on has slowed, and in one case slightly shrunk one of the tumors in his lung, and his oncologist is extremely happy with the slow progress of the disease. Who knows what further miracles the future will bring. But we all agree—there is power in story and in creativity! So what are you waiting for? It’s never too late to make it big! Yes, I’m about to engage in shameless name-dropping, but hey…I’m so excited about the passionate people who banded together last weekend to inspire, support, encourage and cheerlead people’s quest for success. 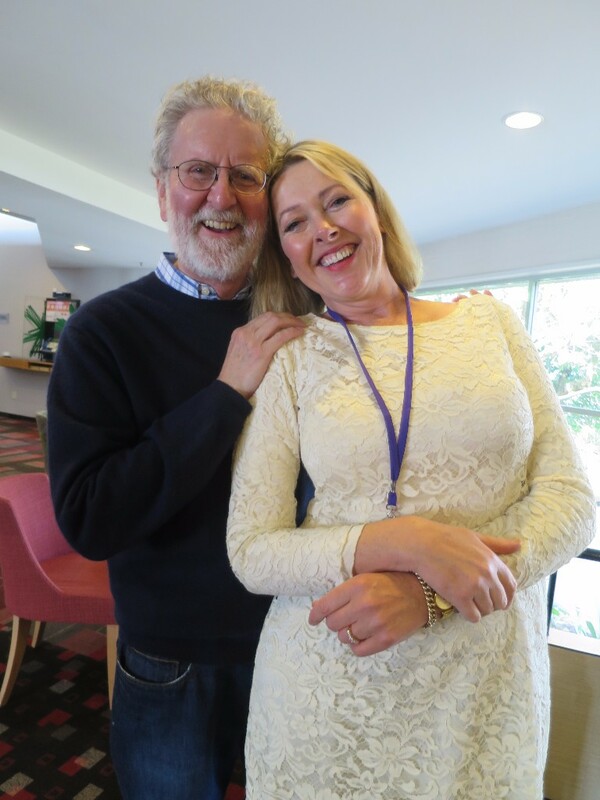 Last weekend’s I had the huge joy of attending the Romance Writers of New Zealand conference. Aptly named, “All You Need is Love”, the conference’s theme captured the key messages contained in my newest #1 best-seller, The Art of Success. It’s a book dedicated to love. Here’s 5 of the many things I learned from attending the conference that may ignite the seeds of your own inspiration and fuel your success. 1. Surround Yourself with Positive People. It’s incredibly inspiring and motivating to be surrounded by people who are either pursuing, or have achieved the things, you also aspire to. I loved hearing how successful some of my fellow writing friends have become since I last saw them. Especially my tribe from my former home city, Wellington. 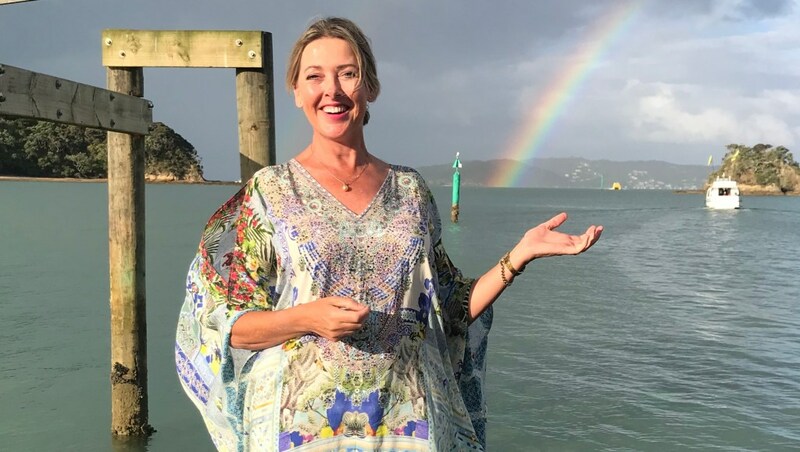 Leanne Morgan, for example, writing as Leanna Morgan, currently also working as the head librarian at New Zealand’s Kapiti Library, has forged an incredible career writing romantic fiction and publishing these herself. Her income has flourished so much so that she’s resigned from her librarian role to concentrate on writing full time. Her story is a fabulous reminder to us all that your day job can feed your dream career and, if and when the time is right, allow you to transition safely to the next chapter in your life. The same can be said for former Wellingtonian and now USA Today Bestselling Author, Bronwen Evans. Bronwen’s first manuscript, INVITATION TO RUIN, was completed late 2009, and was sold to Kensington Publishing early 2010, in a two book deal. Her debut novel, INVITATION TO RUIN, received a 4.5 star rating from RT Book Reviews and was nominated in the RT Reviewer’s Choice Awards – Best First Historical. Invitation to Ruin was also won the RomCon Readers Crown Best Historical 2012.She’s since gone on to win the RomCon Readers Crown three times. Her first book in her Disgraced Lords series hit the USA Today bestsellers list and she has hit it several times since. Her success is even more inspiring because she also worked in a ‘conventional career, ‘ while writing, but because she is also dyslexic. 2. Connect with the pro’s. One of many international experts who spoke at the conference was Hollywood-based story consultant, author and lecturer Michael Hague. His passion for storytelling and love of films was super inspiring—reawakening my own slumbering passions and instilling in me an even greater commitment to mastering the art of great story telling. One of the things I manifested prior to going to the conference was having Michael sign one of his books that I had purchased, “Writing Screenplays That Sell.” So I was elated when he suggested this pose for this piccie, and invited me to join him and another successful Kiwi romance writer, Tessa Radley, to see the Auckland sights. Michael has worked with some of the most successful people in Hollywood, including actor and producer Will Smith, and after hearing him speak and reading his book, I can appreciate why. 3. Visualise and Affirm For Success. Mindset is everything. Before going to the conference I visualised successfully pitching several of my works of fiction to literary agents and editors. Then when the time came for my appointment I felt so nervous I almost didn’t turn up. But I put on my big girl pants (or rather my favourite dress), reminded myself that these powerful and influential people weren’t defined by their job title, but were also just normal people like me, affirmed my belief in my stories, practiced my pitch, visualised success and showed up—reminding myself to also have fun. The result? I walked away with all two international editors from big publishing houses, and one New York based literary agent, interested in acquiring my work. 4. Feel the Fear and Do it Anyway. Following on from the example I gave above, it’s important to discuss the fact that people always think that I’m a naturally confident person. The truth is I feel fear just like you do. I tremble at the thought of meeting new people, and quake at the idea of self-promotion. But I’ve learned that to achieve success I must control my fears, believe in my dreams and take action on my goals. Currently the NY-based literary agent has three partial manuscripts of mine and is assessing my self-empowerment books, including offering to help me negotiate a recent request I’ve received from a Vietnamese publisher for the translation rights for my Mid-Life Career Rescue series, and The Art of Success. As they wrote to me, “In Vietnam, more the 40% percent student choose the wrong career after graduation. So we think that your books are very useful for young people in Vietnam. It’s would be great if we could have your titles in our books line.” I’m thrilled to be able to have the opportunity to help more people make life-affirming choices. If fear or low self-esteem is something you struggle with, make this your no.1 self-development focus. I have a new book coming out this month which I know will help. More about that in my next newsletter. If career dissatisfaction is weighing you down you may like to check out my other books already available on Amazon. Simply navigate to my author page here >> Author.to/CassandraGaisford. 5. Invest in Your Dreams. Going to the conference wasn’t super expensive, but it did cost money. Hotels, conference fees, air travel, and attendance at Michael Hague’s one day, ‘Story Mastery’ workshop. But I treat such expenses less as a cost but more as an investment. One I intend to maximise. So when Michael said he’d love to work with me on developing my story Mona Lisa’s Secret I didn’t hesitate to pay for a coaching session. Afterall, as a coach myself I know the value of working with a pro, and paying the best, to fast track success. So yes, I did some name-less name dropping but I hope you’ll appreciate the theme. To be inspired you need to surround yourself with inspiring people and invest in your own success. You may not be able to get to a conference but that needn’t stop you. There’s plenty of online forum’s and virtual workshops you can attend. Michael Hague, for example has video copies of his international workshops which you can purchase and enjoy in the comfort of your own home. Other experts will too. I’ve also written about and sharing inspirational stories of success in my series Mid-life Career Rescue. Like Annie Featherston’s metamorphic rise from disillusioned teacher to award-winning romance writer in Mid-Life Career Rescue What Makes You Happy. I hope you’re feeling inspired after reading this post. I’d love to know what resonated with you. P.S. If you’ve read my books and enjoyed them – have you left a review on Amazon? Reviews are gold to authors like me and help readers find our books. Please consider leaving your feedback on Amazon on Goodreads. Thank you! 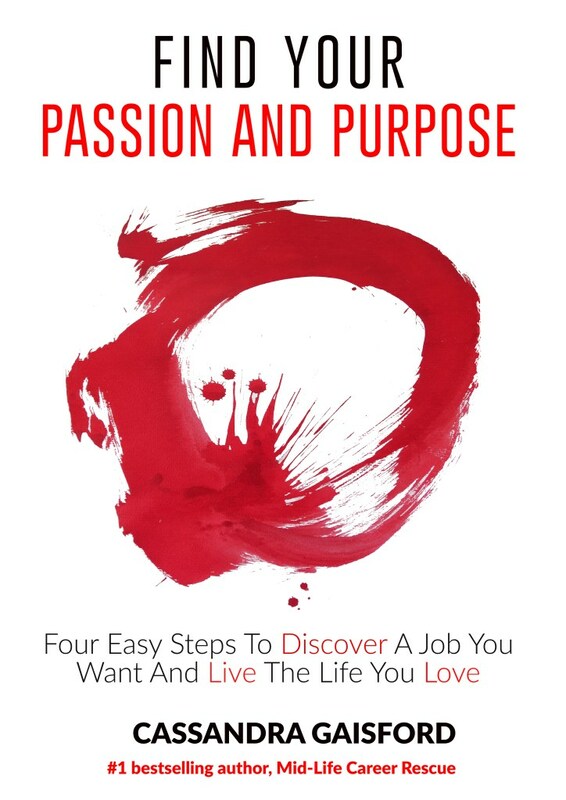 If you haven’t downloaded yet and reviewed, or you could do with a passion boost here’s the link to my new book, How To Find Your Passion and Purpose: Four Easy Steps to Discover A Job You Want and Live The Life You Love, available in paperback and eBook from Amazon here>> http://amzn.to/1W0IreR. I’d still value some more reviews! 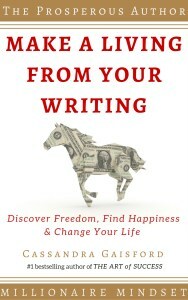 If you are an author of non-fiction like I am, chances are you have written a book you hope will be helpful to others. To do this you need to reach as many people who need the advice you provide as possible. To attract people who need your book you need to be able to speak to their needs and desires, show them how you can solve their problems and market the benefits of your book. This is sales and marketing. How to ensure your sales copy pops! You also have to ensure your copy is eye-catching and heart-grabbing. Thanks to Angelique Mroczka for her amazing step-by-step HTML guide and Paul Brodie for the tips from Kevin Kruse shared in his magnificent new book BOOK PUBLISHING FOR BEGINNERS http://amzn.to/1n5cdmH, I now have a shiny new book description. No doubt there is room for improvement but it is vastly better than my feeble attempt before…what do you think? Focus Your Energy and Time to Achieve Outstanding Personal and Professional Results With Absolute Certainty and Excitement. What if you could increase your success, health and happiness with a few simple steps? How would your life be different if you had more energy, motivation, confidence and self-belief? What if you could hit your business, personal and financial targets easily? Imagine waking up every morning looking forward to your day, working and living with purpose, passion and profit. 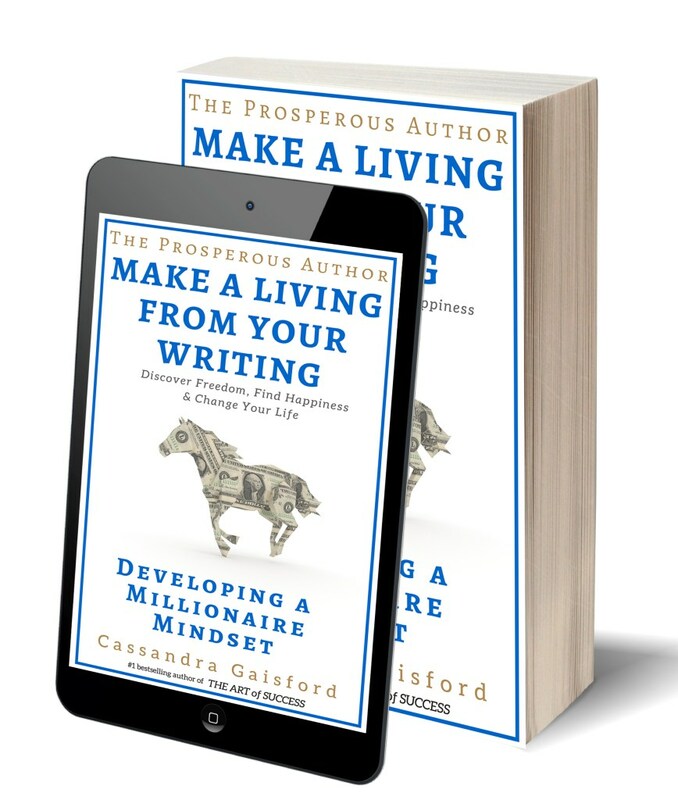 Amazon bestselling author of Mid-Life Career Rescue, and award-winning artist, Cassandra Gaisford provides simple but powerful and easy to implement ways to find your passion and purpose. Based on survey research, personal achievements and her professional expertise and success as a career and life coach helping people achieve outstanding results – including lawyers, teachers, back-to-work mums, accountants, school leavers and creative entrepreneurs – Gaisford answers the question: how to do less and achieve more. BONUS: Making Decisions and Choosing Your Best-Fit Career WorkbookIf you’re like many people who don’t know what they are passionate about or what gives your life meaning and purpose, this book will help provide the answers. If you have been told it’s not realistic to work and live with passion, this book will help change your mindset. If you’re too busy, too tired, too stressed out to read a lengthy book, this concise guide comes to your rescue. Quit just existing and start really living! Buy this book now to start achieving outstanding personal and professional results with absolute certainty and excitement. Finding a job you want and living a life you love is impossible without passion, enthusiasm, zest, inspiration and the deep satisfaction that comes from doing something that delivers you some kind of buzz. Yet, it’s staggeringly, and dishearteningly, true that many people don’t know what they are passionate about, or how they can turn it into a rewarding career. Some research suggests that only 10% of people are living and working with passion. Hence my passion for passion and helping create more positive change in the world. If you’re like many people who don’t know what they are passionate about or what gives your life meaning and purpose, this book will help provide the answers. Together we’ll help you get your mojo back, challenge your current beliefs and increase your sense of possibility. By tapping into a combination of practical career strategies, Law of Attraction principles, and the spiritual powers of manifestation, you’ll reawaken dreams, boost your self-awareness, empower your life and challenge what you thought was possible. We’ll do this in an inspired yet structured way by strengthening your creative thinking skills, boosting your self-awareness and helping you identify your non-negotiable ingredients for career success and happiness. Little steps will lead naturally to bigger leaps, giving your the courage and confidence to follow your passion and fly free toward career happiness and life fulfilment. What you’re about to read isn’t another self-help book; it’s a self-empowerment book. It offers ways to increase your self-knowledge. From that knowledge comes the power to create a life worth living. Chapter One, “What Is Passion” will help you explore the meaning of passion and discover the consequences of ignoring your passion. You’ll identify any passion blocking beliefs and intensify passion-building beliefs to boost your chances of success. Chapter Two, “Discover Your Passion,” will help you to identify your own sources of passion and passion criteria. What you’ll discover may be a complete surprise and open up a realm of opportunities you’ve never considered. Chapter Three, “Passion At Work,” will assist you in identifying career options and exploring ways to develop your career in light of your passions and life purpose. Chapter Four, “Live Your Passion,” looks at passion beyond the world of work and ways to achieve greater balance and fulfillment. You’ll also identify strategies to overcome obstacles and to maximise your success. How To Find Your Passion And Purpose concludes with showing you how to identify your point of brilliance. I’ve also included a link to two free workbooks. Find a job you love and finally live the life you want. Scroll up and click “Buy Now” before it’s too late. It wasn’t bad for a first attempt, but I knew it needed to be better. Even with all those extra tweaks I’ve shared with you above and creating a super-persuasive book description there’s no way I can guarantee that everyone will buy your book. BUT, I’ll bet you’ll feel better about it and agree that the chances of increasing your conversion rate will soar considerably.